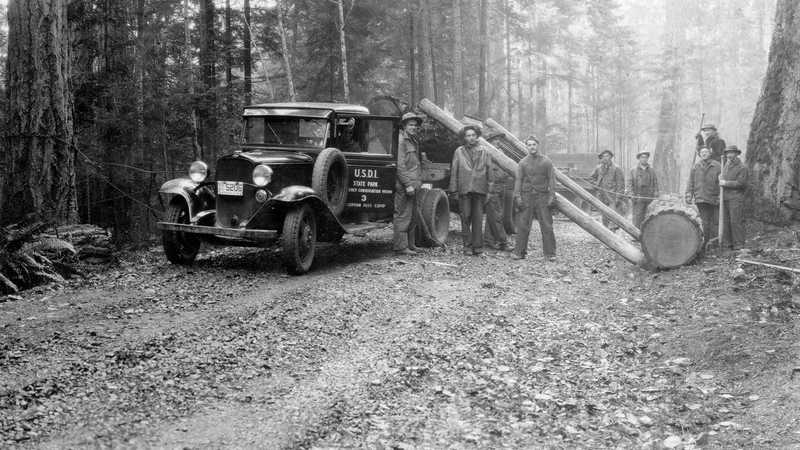 Without the hard work and dedication of the young men who served in the Civilian Conservation Corps (CCC), there would be no Deception Pass State Park. 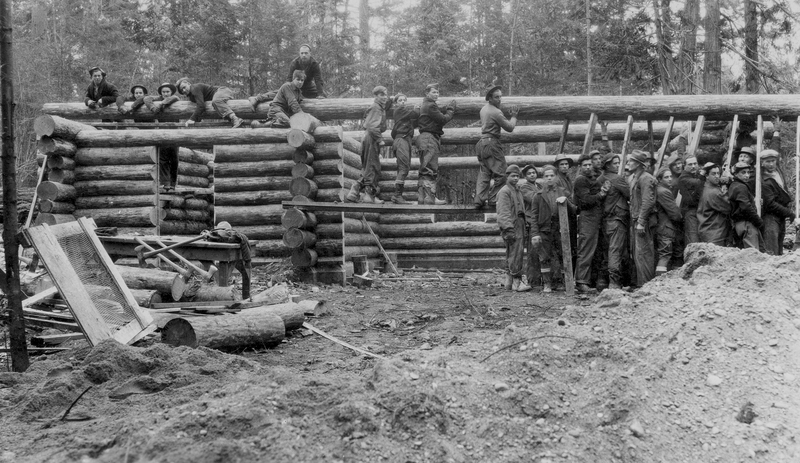 From 1933 through the early 1940s, hundreds of young men served at CCC camps at Deception Pass, laboring to create roads, trails, picnic shelters and other structures that remain in the park to this day. The work was not glamorous and they were paid little for their efforts, but they gave our park a legacy that has withstood the trials of time. 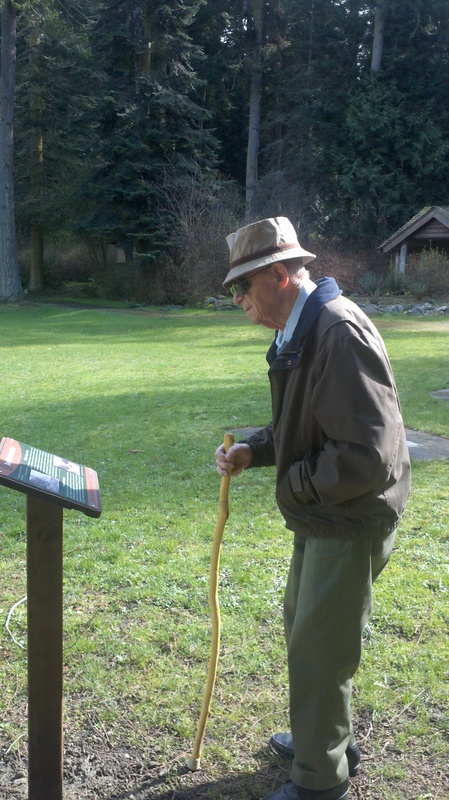 Telling the story of the Civilian Conservation Corps members who served at Deception is one of our primary educational goals for the park. We believe their is still much to be learned from their efforts. 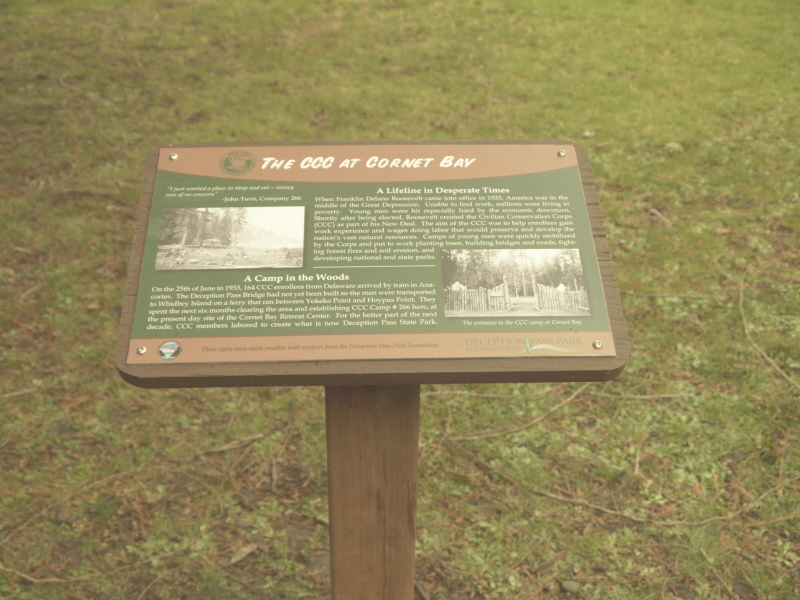 Funding the design and fabrication of 3 new panels for the CCC Interpretive Center detailing the work of the Corps at Deception Pass. Developing and funding a photo exhibit for the recently refurbished Recreation Hall at the Cornet Bay Retreat Center detailing the presence of the CCC at that site. Compiling and editing photographs of the Deception Pass CCC projects into a book Two Hands and a Shovel available at local bookstores, Deception Pass State Park, and on Amazon. 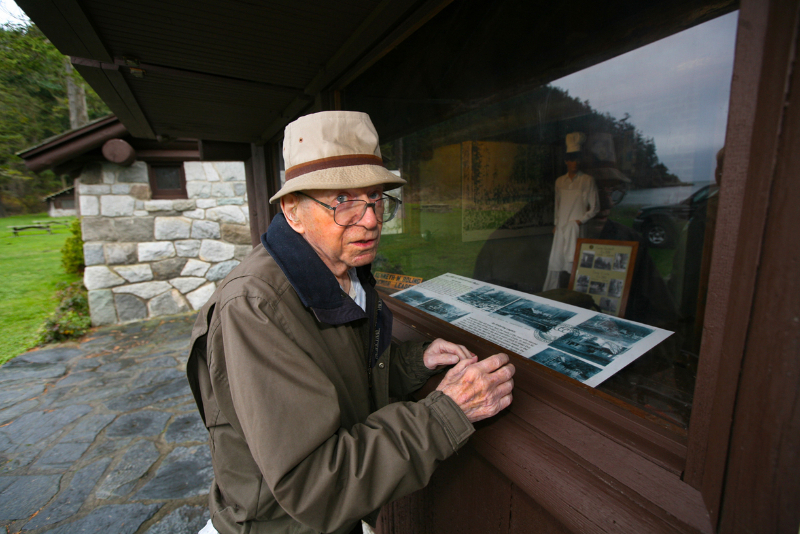 Modernizing and improving the CCC Interpretive Center at Bowman Bay.